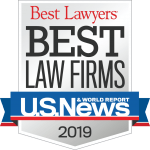 O’Hagan Meyer’s team of corporate attorneys represent clients in a variety of corporate and transactional matters across a variety of industries. We assist our clients in establishing and maintaining their businesses from start-up to sale and every step in between. Our practical approach provides our clients with a trusted partner and advisor throughout their lifecycle. O’Hagan Meyer offers a variety of business entity formation and maintenance services including choice of entity, entity planning, shareholder agreements, partnership agreements, phantom stock and stock option plans, and ongoing corporate counseling. O’Hagan Meyer advises clients and lenders in all aspects of commercial financing such as commercial loans and debt and equity financing events. Our attorneys represent clients in sales and acquisitions, leasing, and financing. Disagreements among principals of closely held or family businesses can lead to contentious, protracted, and disruptive disputes. We advise on avoidance or resolution of conflicts among owners of closely held companies. Services include negotiation, advice on strategy and tactics, as well as pre-litigation counseling. We represent clients on matters in which litigation is necessary to resolve disputes, such as partnership and corporate break-ups, employment, finance and lending, and intellectual property. We advise clients on a broad range of corporate services such as drafting, negotiating and reviewing contracts, intellectual property, and other services that are designed to protect small to mid-sized business without in-house counsel.